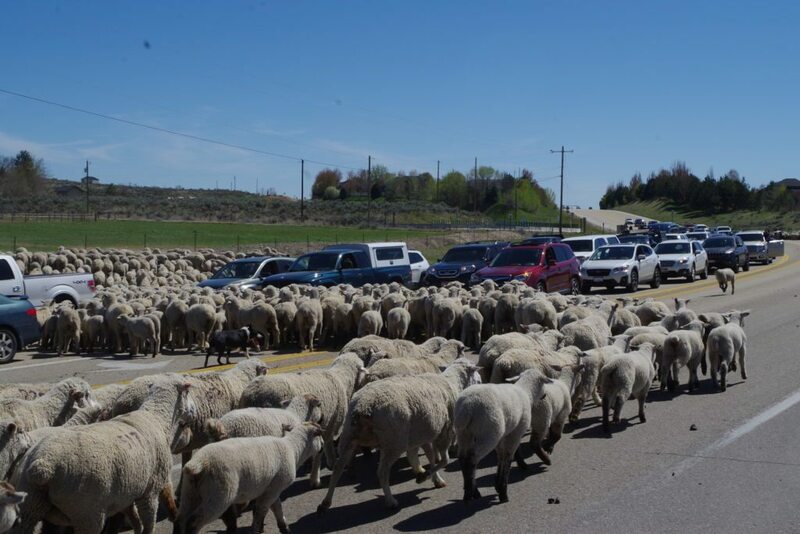 Lots of people watched the sheep get trailed across Idaho Highway 55. 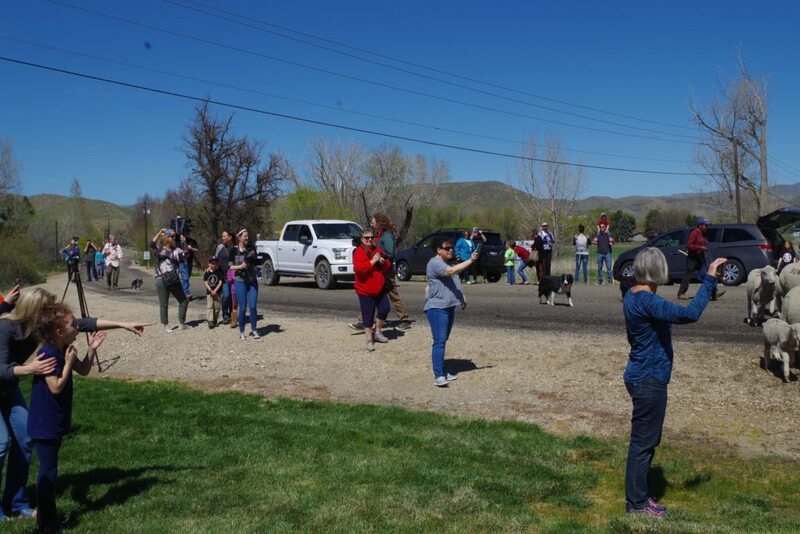 It’s an annual rite of spring when Wilder Rancher Frank Shirts brings the first band of sheep across Idaho State Highway 55 by Beacon Light Road in Eagle so the sheep can graze across the Boise Foothills and follow the green up on their way to Robie Creek and the Boise National Forest. 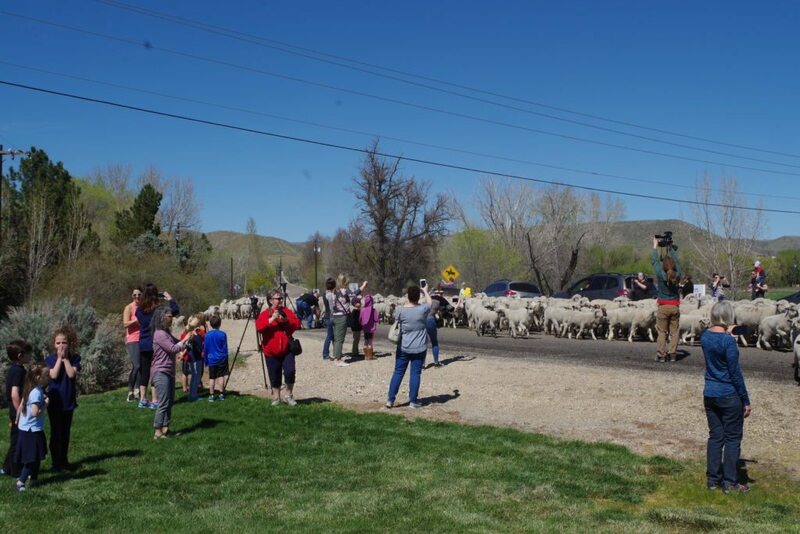 At least 100 people came out to watch the sheep crossing on Idaho 55 on Friday. 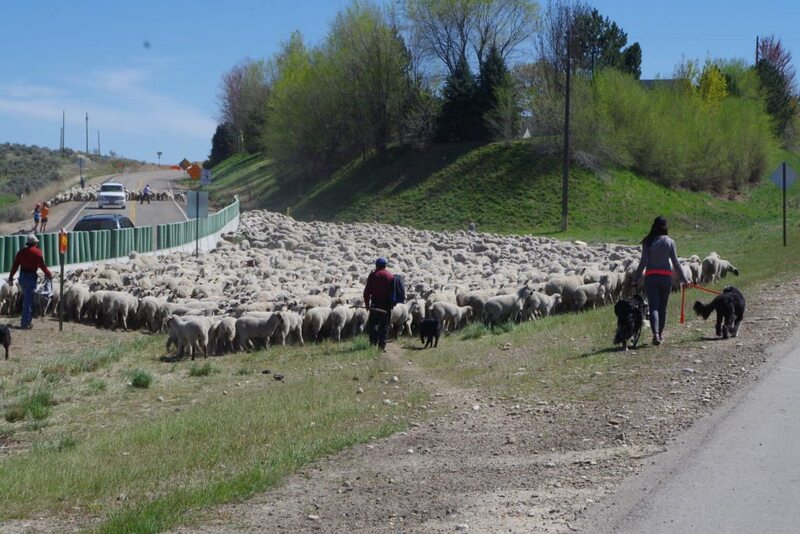 Shirts and his herders trailed the sheep across the busy road in mid-afternoon. The crossing is also a good way for the news media to get photos and video of the sheep close to town. All three Boise-market TV stations covered the crossing, and Boise State Public Radio did a story the day before the crossing to give people a head’s up that the sheep are coming. As always, the Idaho Rangeland Resource Commission provides tips to foothills recreationists to keep their dogs leashed when they encounter sheep. Mountain bikers also are advised to dismount from their bikes when they encounter sheep and walk through the sheep so as not to antagonize the Great Pyrenees guard dogs that protect the flocks of sheep from predators such as coyotes, black bears, mountain lions and wolves. IRRC will work with Ridge to Rivers in the Boise Foothills to let people know where the sheep are located as they graze in an easterly direction in the next week or so.